Bioshock Infinite is almost upon us, bringing with it the new playground of Columbia. All this hype over a new Bioshock game got me thinking back to where it all began. I remember the trailers for Bioshock giving me goose bumps and getting all hyped up about the Big Daddies. This naturally led me back to picking up the game again (I sold it a while back) and I’m so, so glad I did. 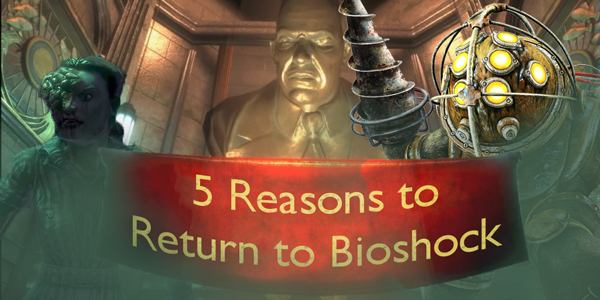 So here are 5 stand out reasons to dig out Bioshock again in preparation for the release of Infinite.